Toph 壁紙. 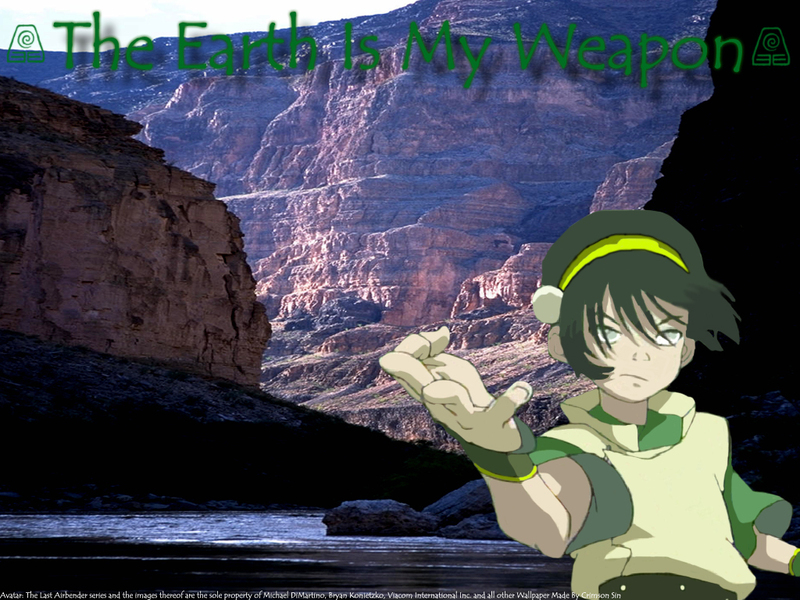 Toph, the earth is her weapon.. HD Wallpaper and background images in the アバター 伝説の少年アン club tagged: avatar the last airbender toph. This アバター 伝説の少年アン wallpaper might contain 険しい岩山, 塊, 岩山, and アルピニスト. This one is kind of neat. The letters are harder to make out though. TOPH THE BEST EVER U ALL R WEAK!!!!!! Yeah! Go TOPH. You rock. TOPH IS FULL OF AMAZEMENT! This picture makes her look all cool and powerful and stuff! Good job to how ever did this one!